The severe weather has also displaced nearly half a million people, and triggered major landslides throughout the country, reports CNN. Meanwhile, Sri Lanka's Ministry of Foreign Affairs has activated its Emergency Response Unit and has also called on the United Nations' International Search and Rescue Advisory Group, as well as neighboring countries, to help in the recovery effort. The government has deployed almost 2,000 military personnel to affected areas. The rains are the the worst to hit Sri Lanka since 2003, as they come after two months of drought, which had grown severe enough to warrant aid from the World Food Programme. "We have a problem of limited resources to cope with the situation. Hence we have made many appeals." Foreign Minister Ravi Karunanayake said, adding that he expected two ships full of relief supplies from India to help meet the need. 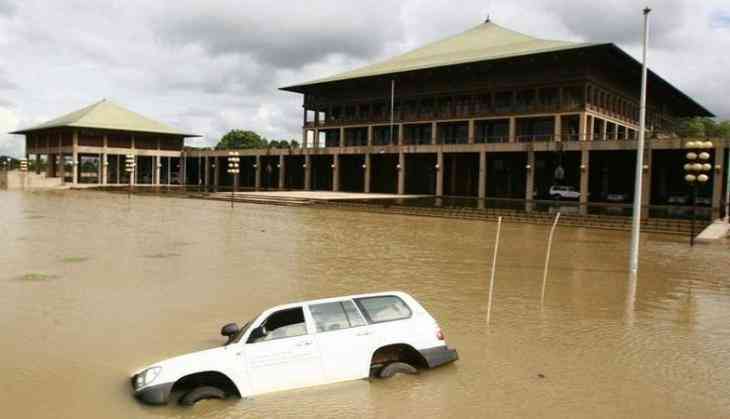 Among the districts most affected was Ratnapura, about 60 miles southeast of Colombo, the nation's capital.